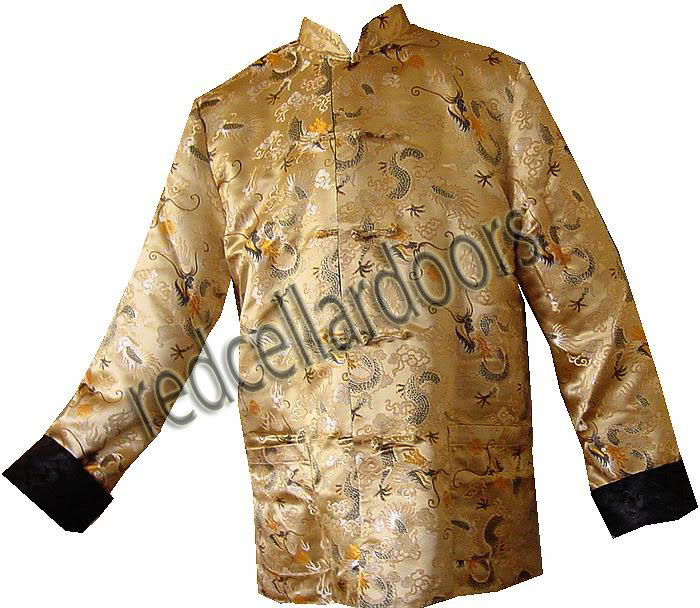 Made with heavy Chinese Damask fabric embued with embroidered dragons. 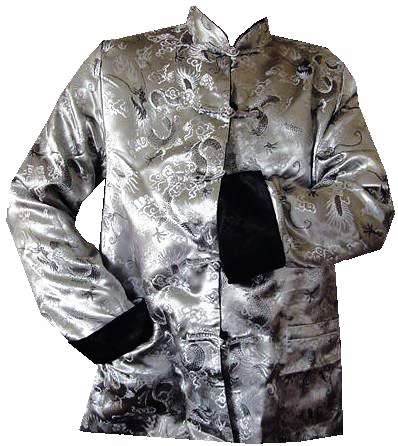 These stylish smoking jackets reverse to a solid black damask. 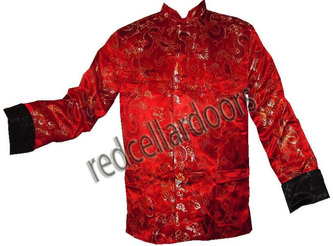 Cuffs can be turned up to show contrasting colors. Features two large pockets and knotted cloth buttons.